Did you blow well over .08? Even if you did, you don't have to just plead guilty and accept your fate. We can help you fight it. At the law offices of John W. Callahan, Ltd., we have built our careers around overcoming seemingly impossible challenges, such as strong Breathalyzer test evidence. We thrive on these challenges and take pride in our ability to find unique ways to get past them and protect your future from the consequences of a DUI/DWI charge. To speak within minutes with an experienced lawyer who can stand up for your rights even against challenging Breathalyzer test evidence, call us at 1-877-335-6697 today. 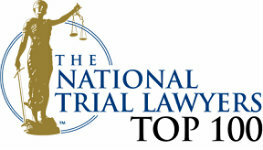 You can also e-mail our law firm. Was the breath test machine defective? We will enlist experts to challenge the accuracy of the test when necessary. Are the calibration records in order? Officers are obligated to keep track of their maintenance of breath test machines. How long after being stopped was the Breathalyzer test administered? Blood alcohol level can change if a significant amount of time has passed. Did the machine take into account mouth alcohol from gum chewing, belching, blood, etc. Was the software on the machine set appropriately? State law has mandated that the software be on a certain setting. We know the subpoenas that need to be issued to address these questions. Without this knowledge, it would be difficult or impossible to try to win a case with a BAC over .08. If it is important for you to try to beat your case even when you blew or submitted to a blood test resulting in .08 or more, we have the expertise to deal with these issues and quite often win the case, have the charges reduced, or have the case dismissed altogether. These are just some of the questions we will ask in our quest to overcome the evidence presented by a Breathalyzer test. We can also address cases involving Breathalyzer refusal. 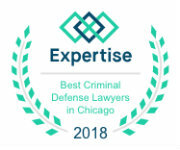 E-mail us or call us at 1-877-335-6697 to schedule a free case evaluation with an experienced drunk driving and Breathalyzer test defense attorney.